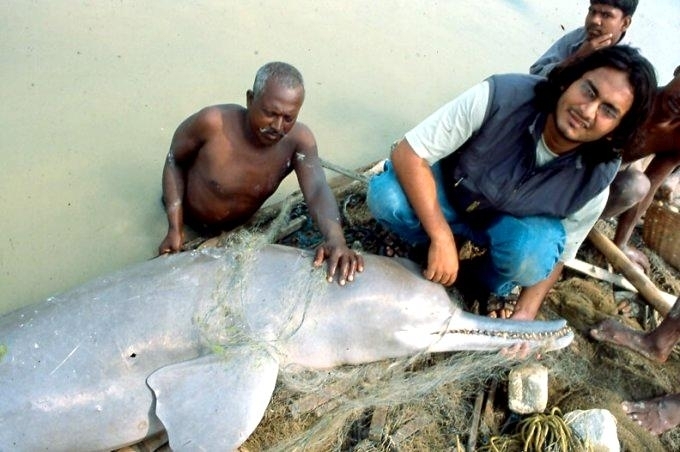 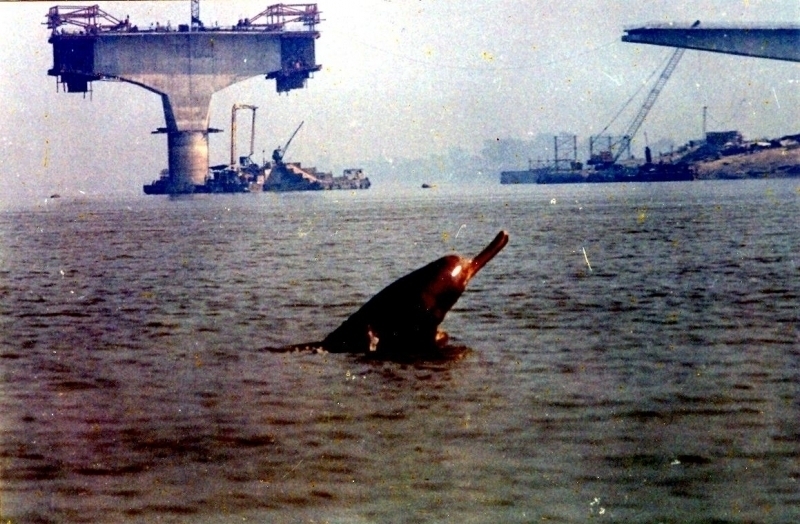 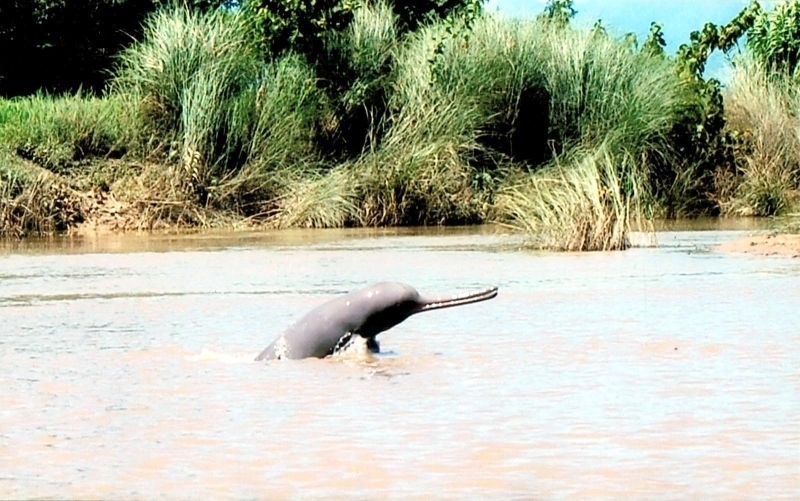 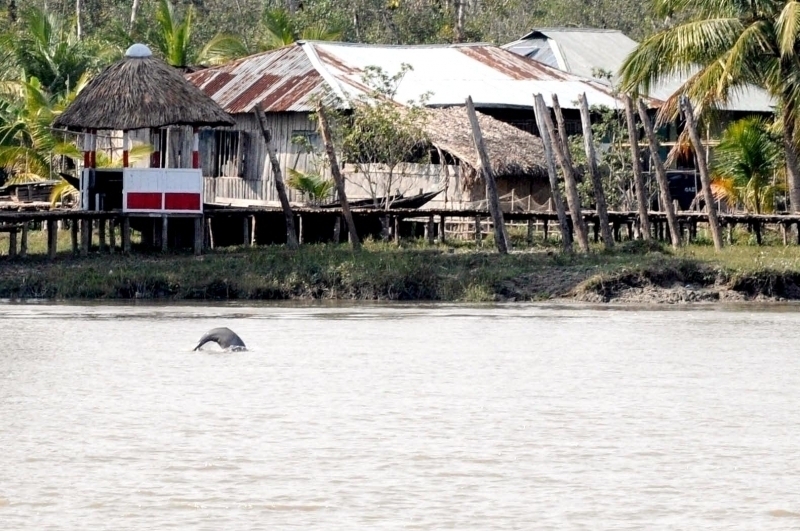 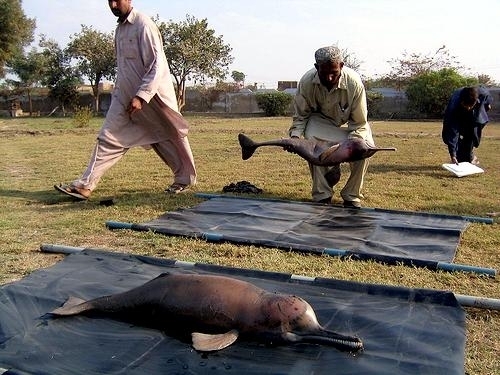 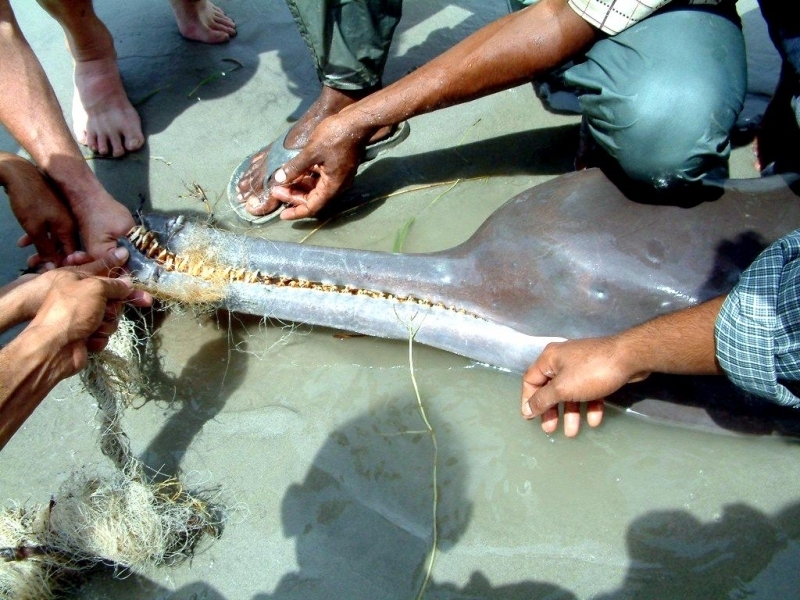 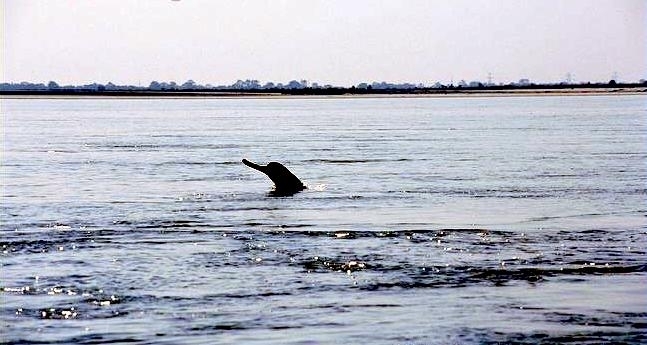 Ganges River Dolphins measure 2.3-2.6 meters in length with females typically larger than males. 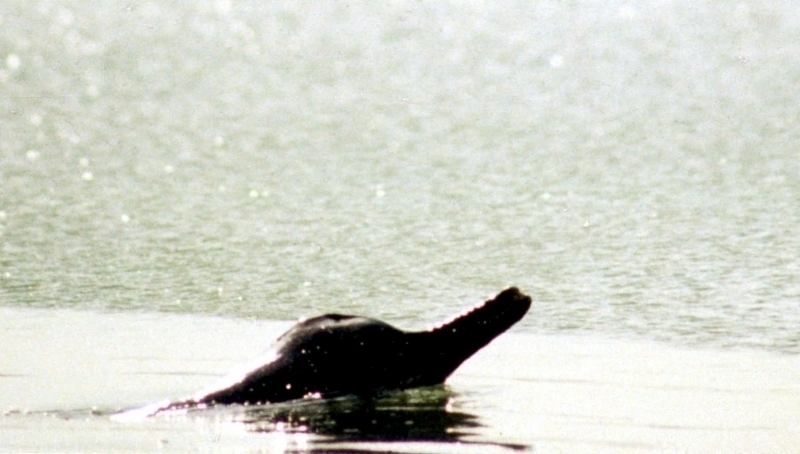 They are dark gray to black in color with lighter coloring on their ventral (under) sides. 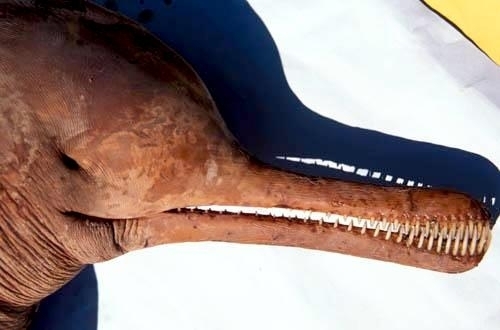 Their unnotched flukes (tail) measures 46 centimeters from tip to tip. 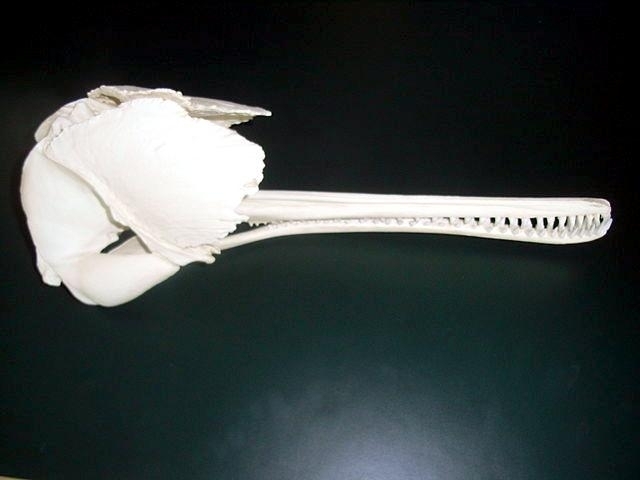 They have a beak that measures 18-21 centimeters with 28-29 teeth on either side of their jaws and a steeply sloped forehead. 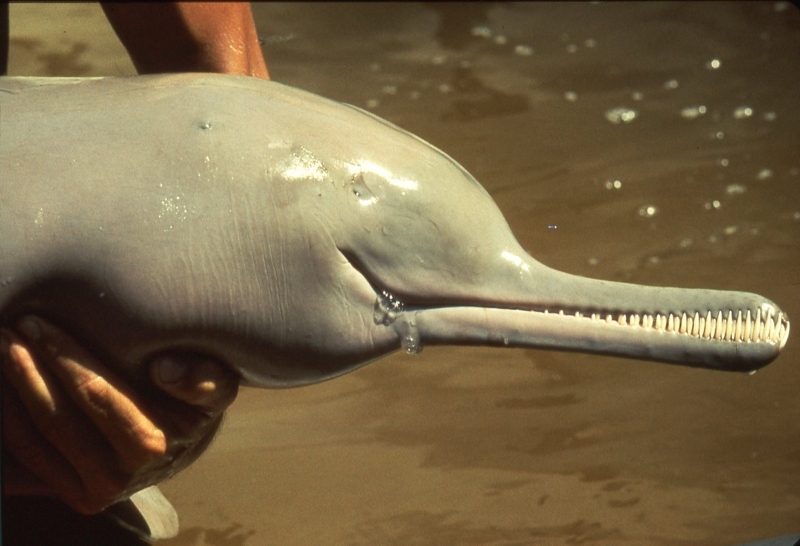 They have a dorsal fin, however it is ridge-like and not very pronounced. 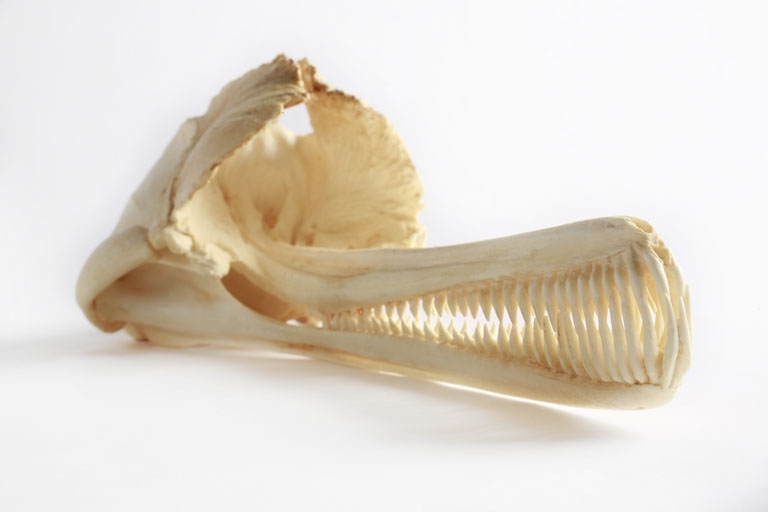 Their pectoral fins are squared instead of tapered on the ends. 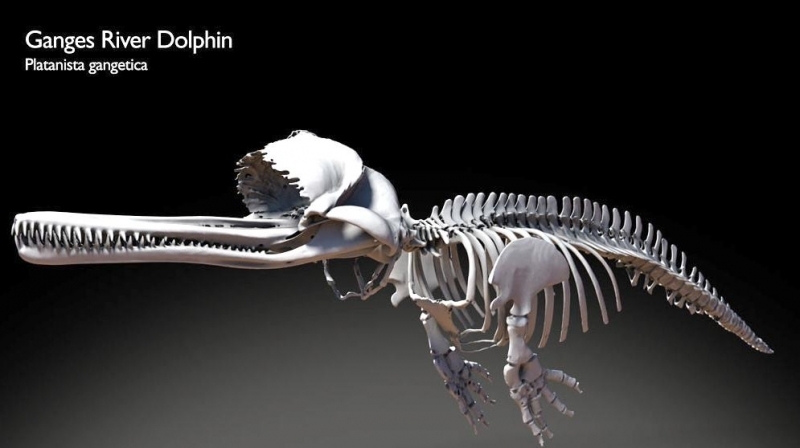 They do not have neck mobility and lacking a lens, their eyesight is very poor incapable of forming images on the retina. 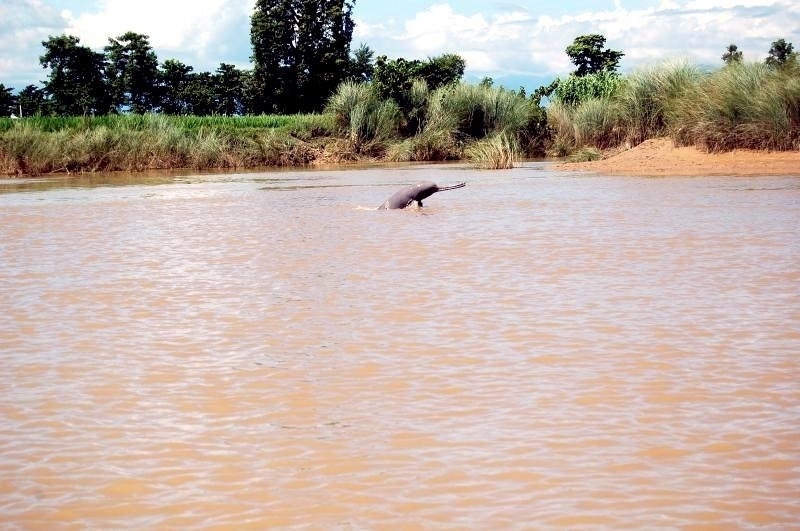 This is likely due to the muddy waters they inhabit making acute eyesight unnecessary. 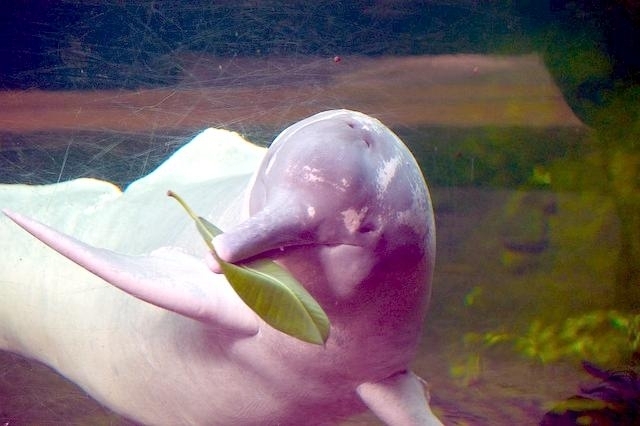 They are able to detect light and locate prey mainly using echolocation. 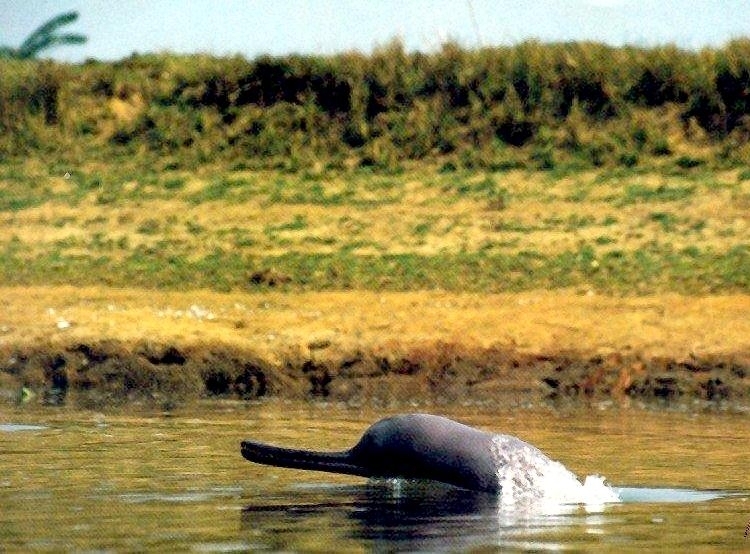 Although pods of 3-10 have been observed, Ganges River Dolphins are not classified as gregarious as they are most commonly found alone. 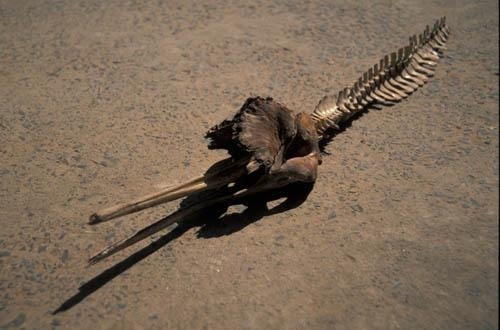 The life span is thought to be about 26 years. 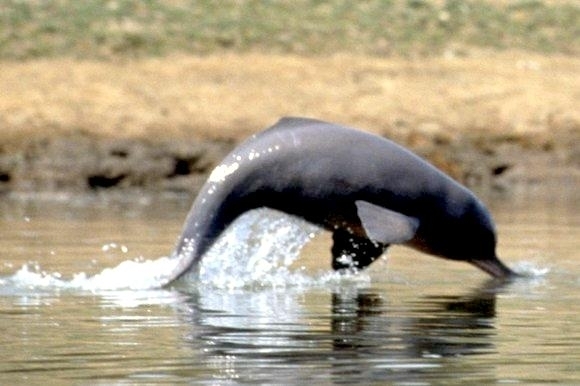 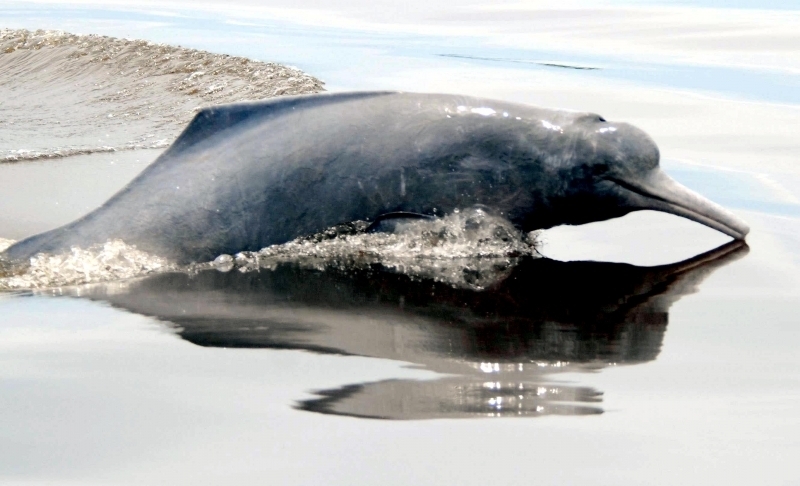 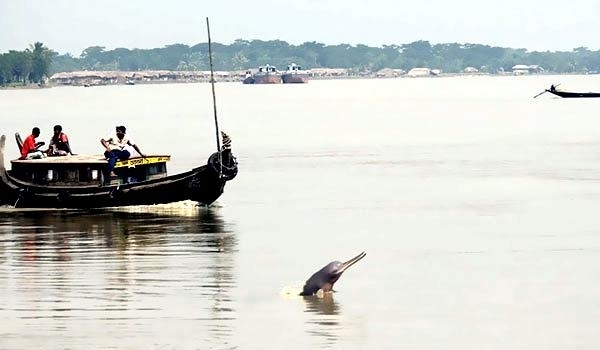 Ganges River Dolphins are found in the muddy river waters of India, Nepal, Bhutan and Bangledesh in the Ganges, Brahmaputra, Meghna, Karnaphuli and Hoogli river systems. 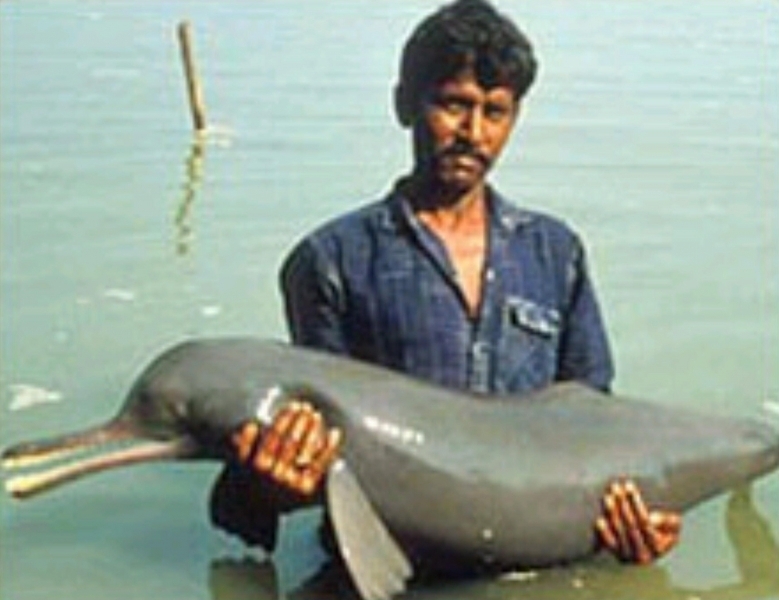 This freshwater species may migrate to tidal waters during the rainy season and during the dry season, they migrate away from areas where temperatures and/or salinity rise significantly. 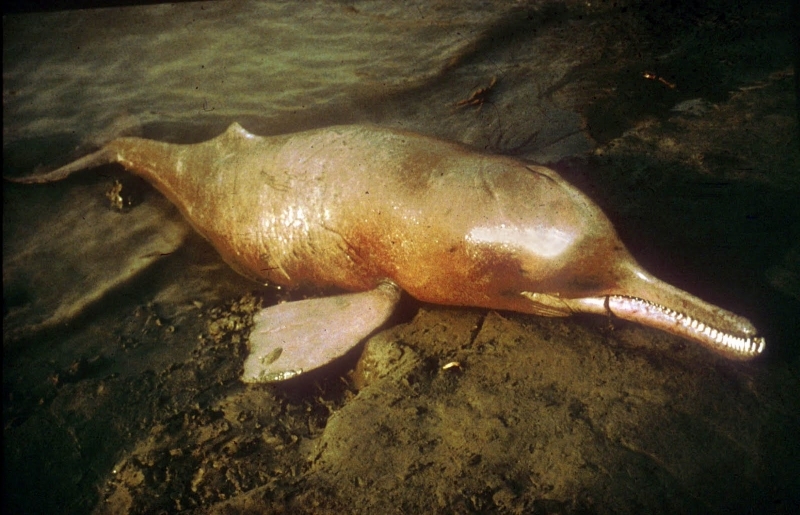 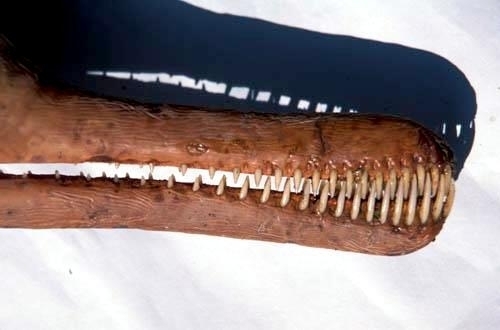 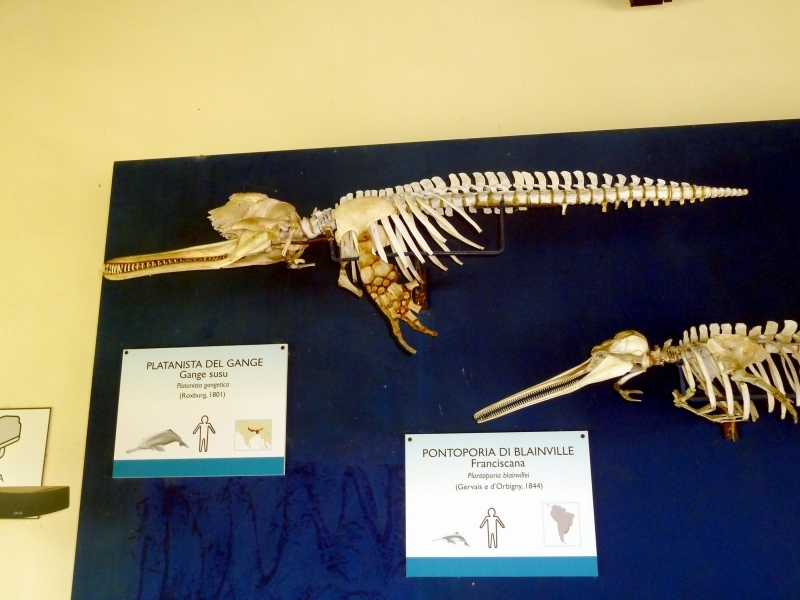 Some paleontologists believe that river dolphins may have evolved during the Miocene era from marine-dwelling that eventually moved to estuaries and rivers with the rise & fall of sea levels. 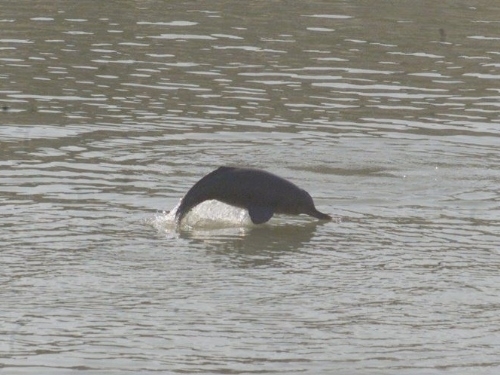 They appear to migrate seasonally along the river. 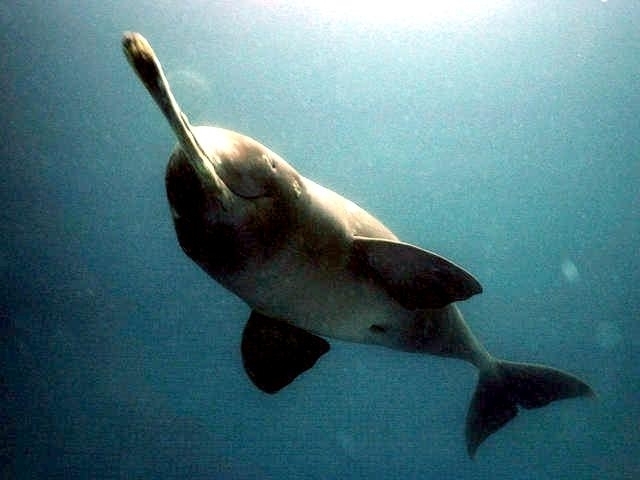 Ganges River Dolphins use their echolocation abilities combined with their highly toothed, long snouts to feed on shrimp & fish. 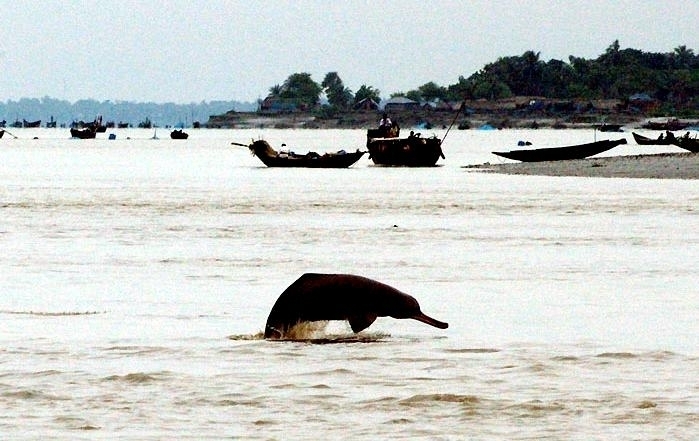 Ganges River Dolphins reach sexual maturity at about 10 years of age. 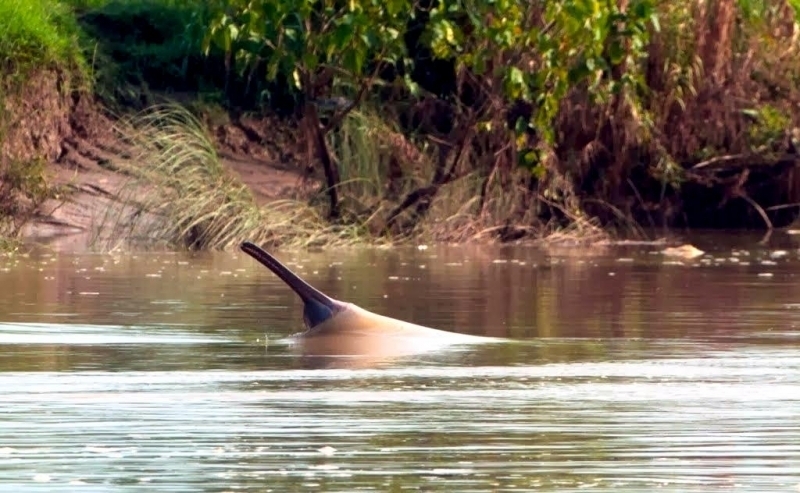 In general, calving takes place between October and March following a gestation (pregnancy) period of 8-9 months. 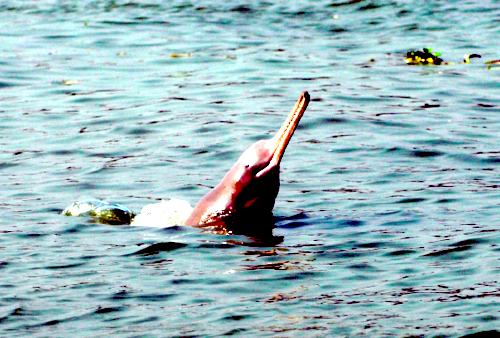 Females nurse for up to 12 months. 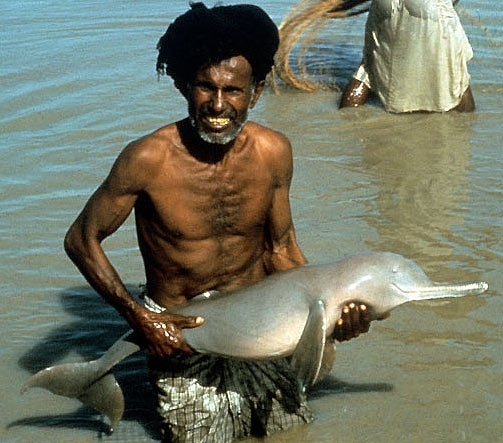 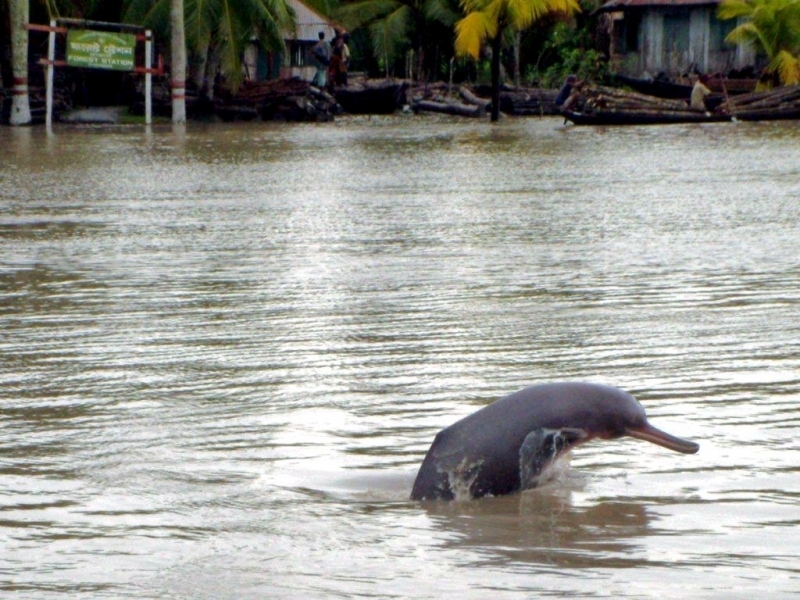 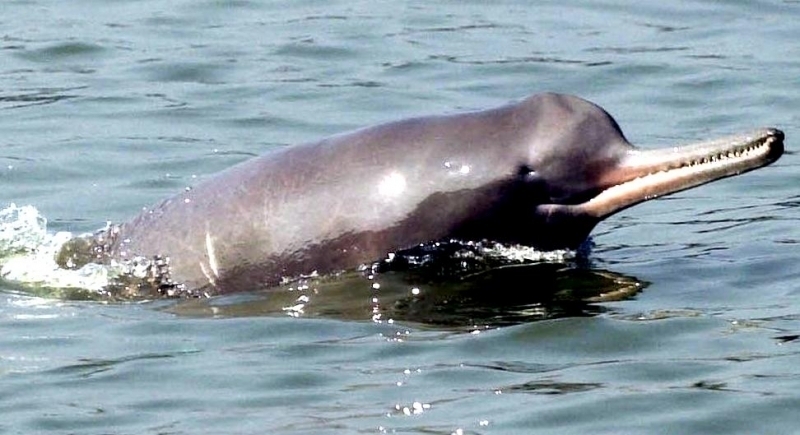 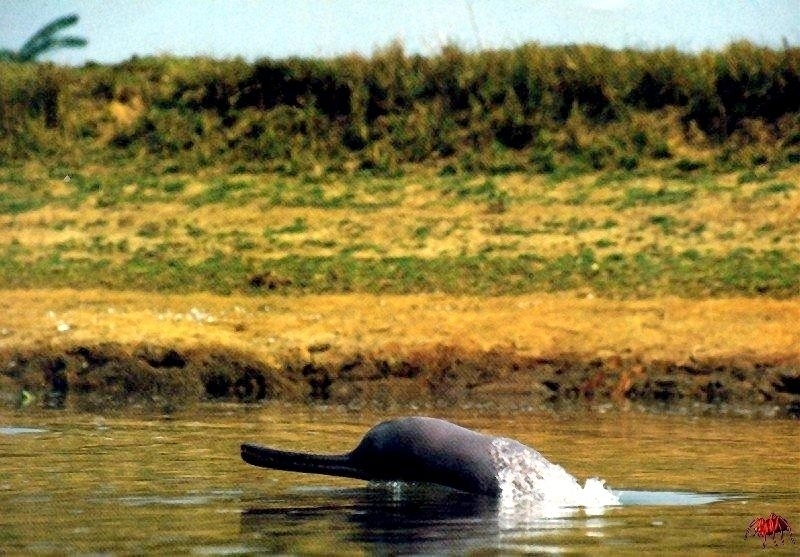 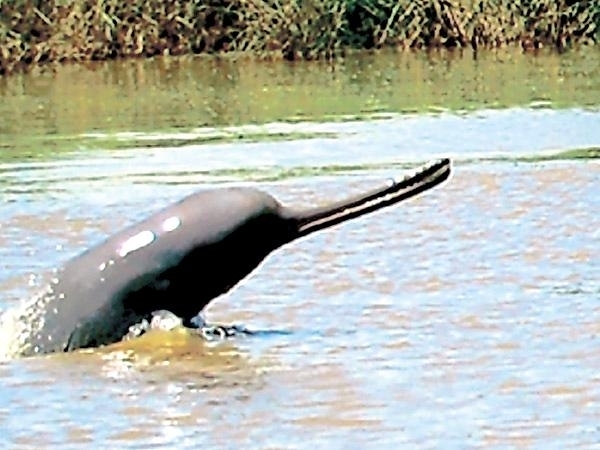 The Ganges River Dolphin can only live in freshwater and is essentially blind. 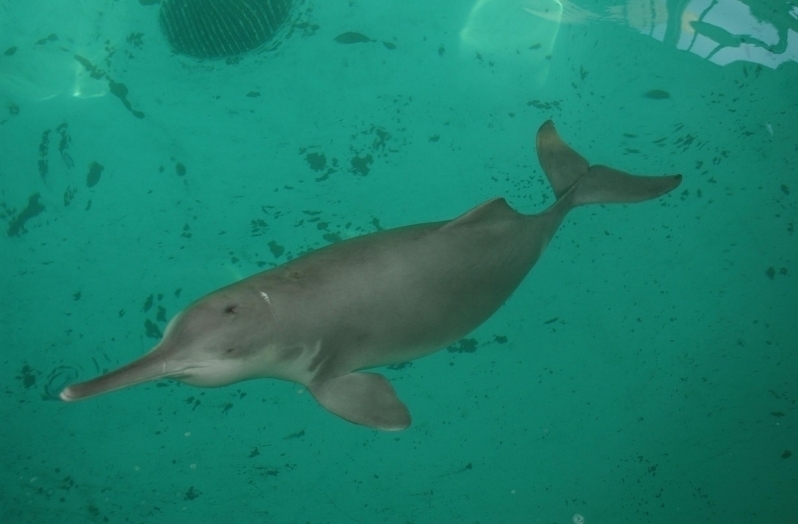 They hunt by emitting ultrasonic sounds which bounces off of fish and other prey, enabling them to “see” an image in their mind. 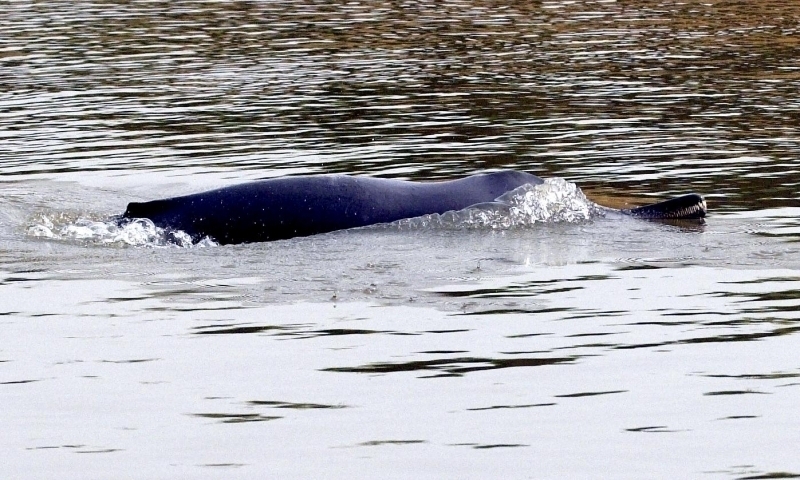 They are frequently found alone or in small pods and generally a mother & calf travel together. 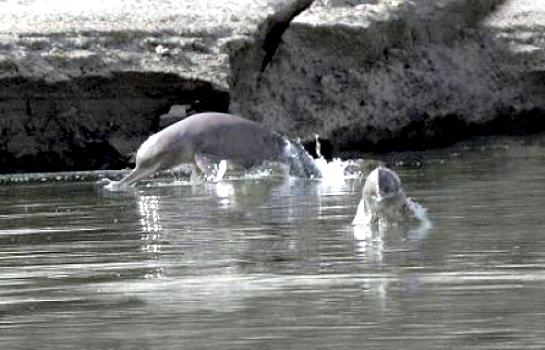 Calves are chocolate-brown at birth and then have grey-brown smooth, hairless skin as adults. 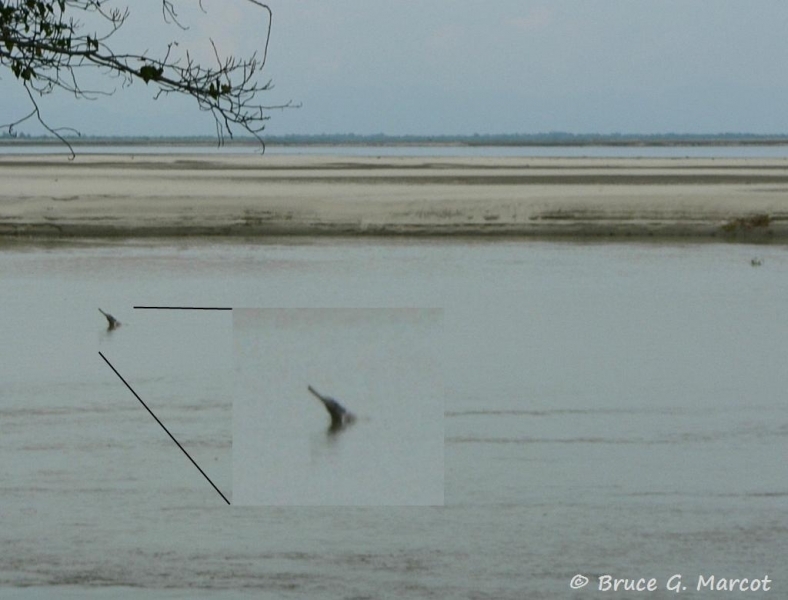 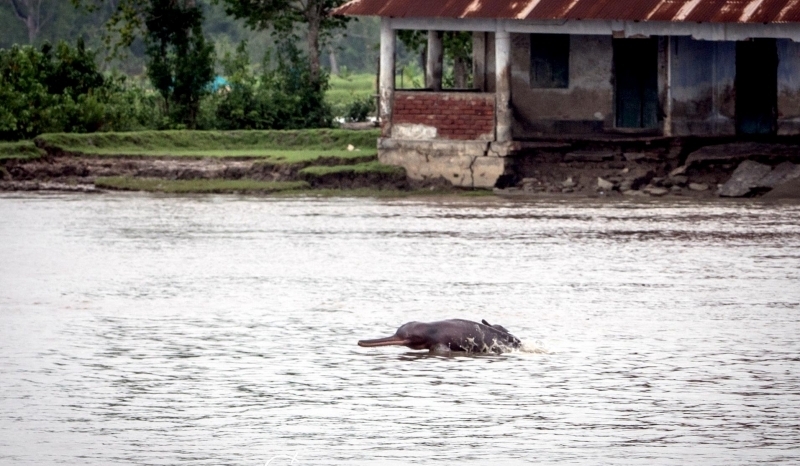 Female Ganges River Dolphins are larger than males and give birth once every 2 to 3 years to only 1 calf.